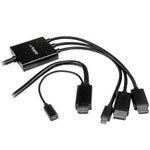 Liberty AV's HDMI Adapter Rings provide easy connectivity to legacy and new cable formats to HDMI for presentations. For example, VGA to HDMI, USB-C to HDMI, DVI to HDMI, and hundreds of more possibilities. The most popular ring is the Liberty AV DL-AR allowing for 5 different adapters. Another is the DL-AR-VGA where we pair together an active VGA analog signal to HDMI digital converter. 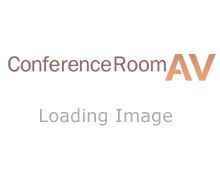 Conference Room AV also offers you a configurator so you can select the exact adapter for your specific needs.